Why? 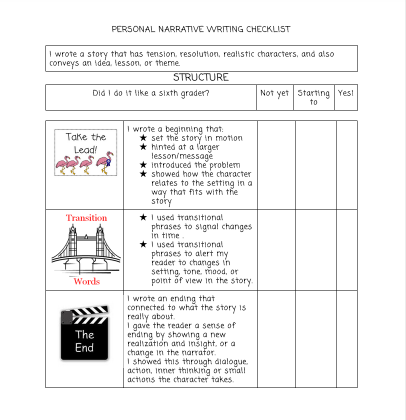 Because once our writing year begins to unfold and become “real” with our first foray into personal narratives, a good part of my writing teacher brain becomes consumed with how to move my kids up the ladder of their writing lives. I still want to inspire them with beautifully written mentor texts and strategically planned mini lessons, but I also want to make sure that I am as intentional and systematic about all we do in this phase of writing workshop so that my students become better writers, who can (in the words of the U of S) “share ownership of their progress”. So, much as I appreciated the learning progressions, rubrics and writing exemplars included in this book, the part that I was most excited about was…the student checklist! … checklists can be used for more than simply keeping track of whether a task has been done or not; they can also be used to monitor progress toward a bigger goal. 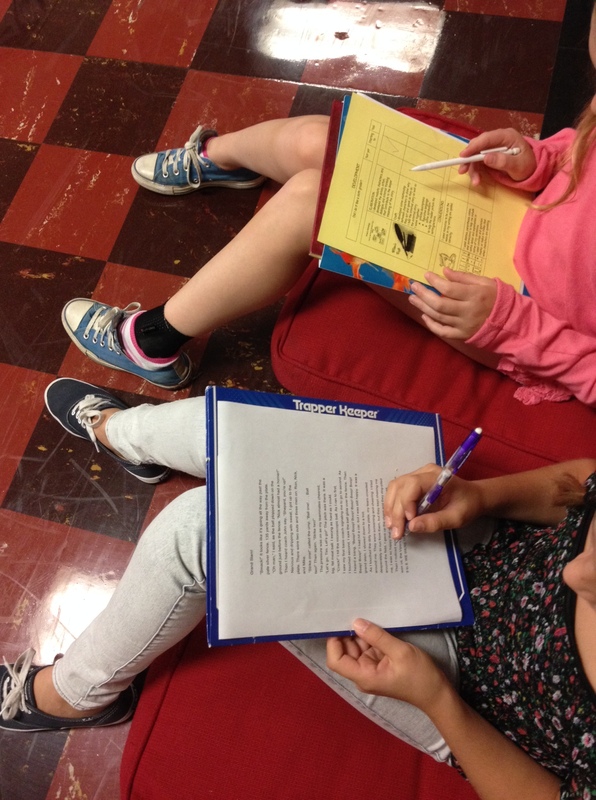 By using checklists, students in a writing workshop can review their work systematically, checking to make sure they have met certain goals in each piece of their writing. And, if they fall short of meeting their goals, a good checklist can guide them in the right direction toward meeting that goal in their next revision – and in their future writing. 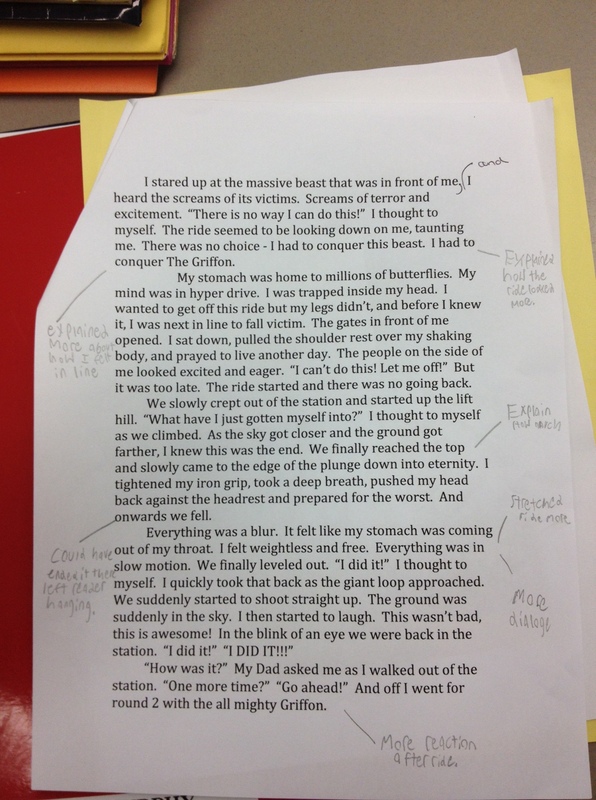 I loved the idea of involving my students in the process of evaluating their own work. We have writing rubrics, of course, but these were (quite frankly) quite daunting for my students: all the many columns and skill sets inherent in building a meaningful rubric made for a complicated looking evaluation tool for students to use. I would hand these out, and my kids’ eyes would glaze over – too much “stuff” to focus on, take in, and figure out. The checklists, however, are a distilled and simplified version of those rubrics. 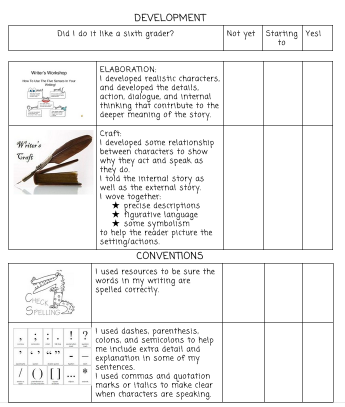 They are kid friendly, short, and key in on critical elements of writing. They are eminently do able , which means that they will be used. Score! Here’s what the checklist process looked like in my sixth grade classroom. 2. A whole class discussion fleshed out misconceptions and allowed for further clarification. It was interesting to see this process play out in my classroom. All the work we had done to understand the elements of the checklists gave my students a sense of agency in their self evaluation. Because we were still in the revision process, my students felt motivated to be honest about where they were in their writing, and what parts they could work towards improving. Best of all, they had concrete goals to strive towards: clearer transitions, or endings that connect better to the “so what?” of the narrative, for instance. 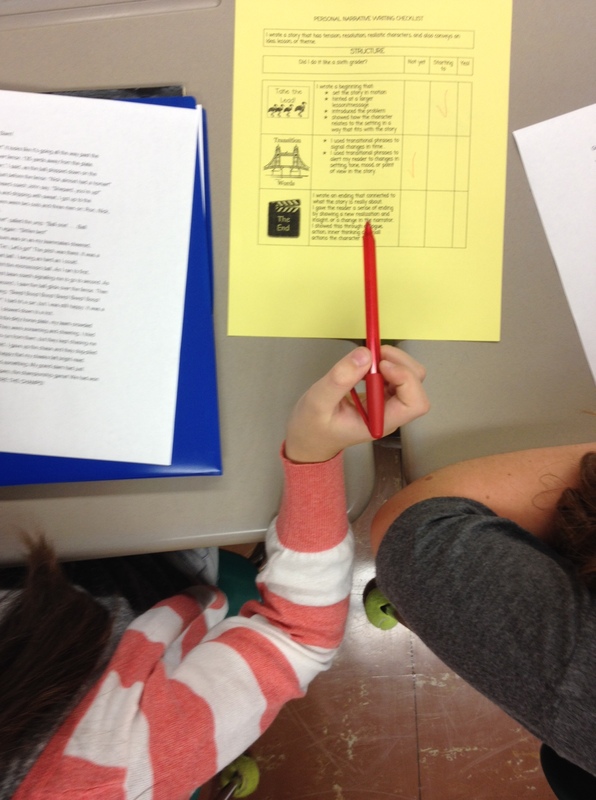 We have just begun to use writing checklists in Room 202, and we know that much work remains to be done. But, I am so glad that we have taken this first step. I love the friendliness of your checklists. So inviting. Thank you. Thank you for this post Tara! (You know why!) I love the checklists with the visual support — it makes it so friendly and engaging. I’ve found that kids LOVE a checklist, big time. And I love the kid who says she now knows how to have a writing conference with herself. I am definitely using that in my next checklist-y minilesson! Do you have these checklists available to buy from TpT or anything? Unfortunately, I do not. You are welcome to the ones in the post, however, although you may want to tailor them to your grade level and your students’ specific needs. The check list is so small I cannot read it when I click on the pic. Do you have a larger version by any chance?? Tara, this is really, really smart work. I love the pacing and the practice involved! I’m going to forward this right now to my teachers! Great timing. My teaching partner and I were just debating whether to use rubrics or checklists. This is the first blog in which I’ve seen writing teachers addressing the difference. 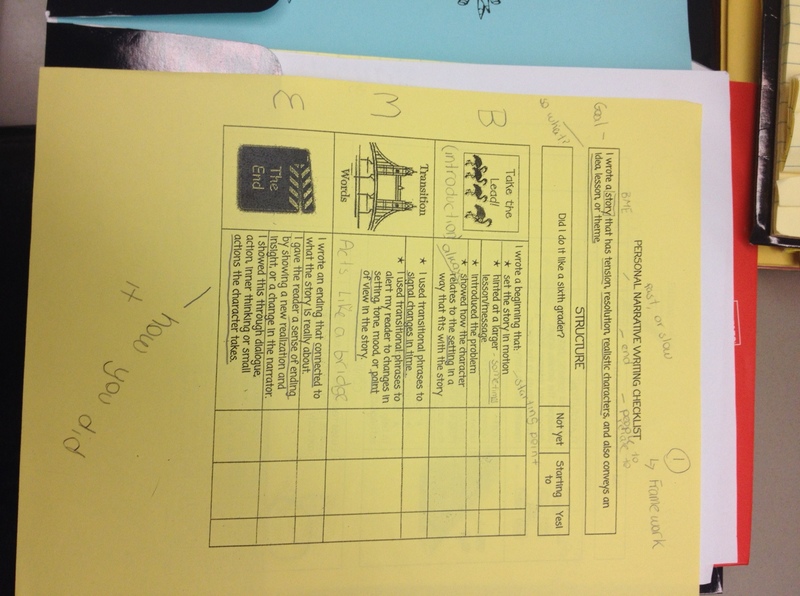 The samples and pic of the student mark-ups that show how the student made sense of the items is super helpful. Thanks!!! Perfect timing! I was just working with 2 teachers in the area of Using Assessment in Instruction (3D in Danielson). What a treat! Good timing for me as I’m working with a teacher (new) who is telling students to do their own revision, but has not really taught the ‘how’ of it. I will share this & know it will be helpful to him. Thanks, Tara. I love how you led students through the process of really unpacking the checklists. One really important takeaway for me was that doing this allowed you to clear up misconceptions. This is so important! Just because something is in writing and we think it’s clear doesn’t mean all students will understand it in the same way. 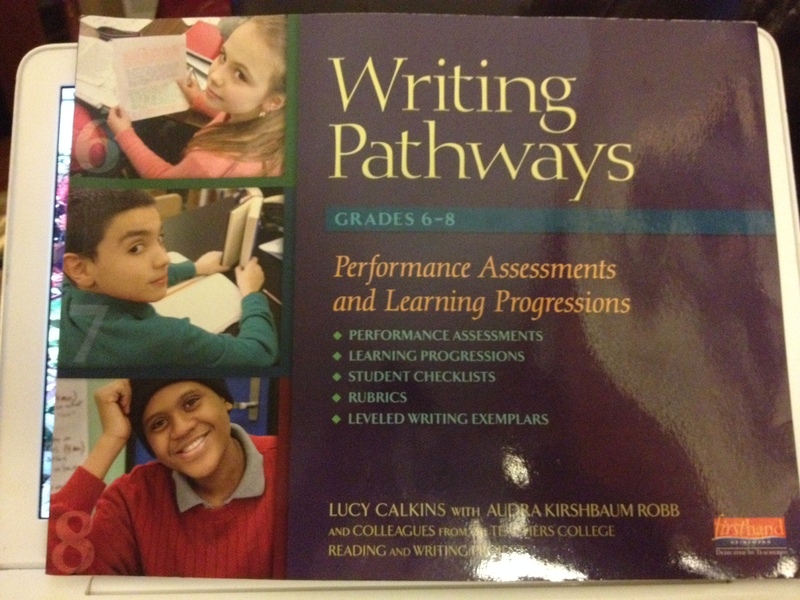 One note, Heinemann now released a stand-alone version of Writing Pathways. So you can get these tools even if you don’t have the whole Units of Study kit. LOVE, LOVE, LOVE the graphics for the checklist. I was trying to put in an “example” from writing but I think the graphic makes so much more sense! Perfect timing!! Your student-friendly and guided rubrics are wonderful. Thank you for sharing your process, too. 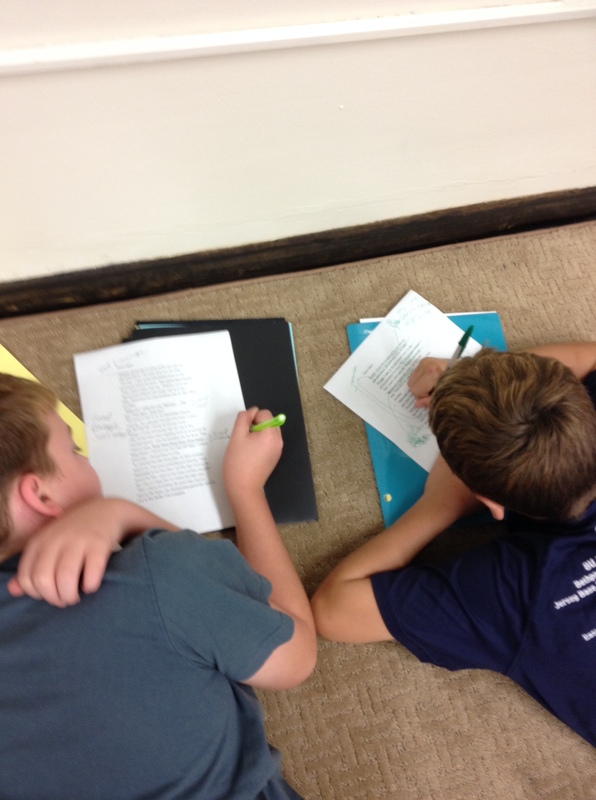 The best line of all is that NOW, students can have their OWN writing conferences with themselves! As Graves, Jacobbi, Calkins, Danielson (and all the rest of the wise voices in wriitng and assessment would say)THAT is a SIGN of HIGHLY effective teacher in a student centered classroom! Perfect timing! This is exactly what is in the plans for our day today! I love how you added graphics!